How do you reenter the workforce after raising children for 25 years? You raised your children, you had a great time doing it and are now you’re looking to reenter the workforce again. For starters, there is nothing wrong with that and employers are not going to hold your absence from a job against you. You might feel that you have nothing to offer an employer because you don’t have recent work experience. That might be true if you were a brain surgeon 25 years ago and now you want to get back into that field. You’re probably going to run into a little resistance. But for most moms, you have a lot of experience and much more than you realize. Expertise aside, you have many other qualities that you’ve nurtured over time, like dependability, discipline, work ethic, reliability – I could go on and on here… and those are often more valuable than experience alone. So let’s talk about experience for a minute. 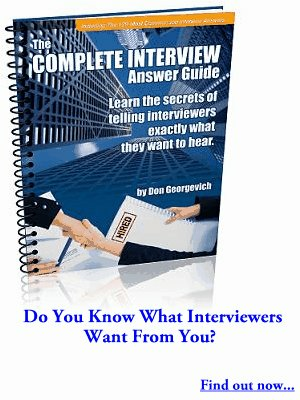 It would be best to tell them things you have done that are related to the job you are interviewing for. Volunteer experience is perfect for situations like this because it overlaps with real-world work experience. And a lot of those skills transfer into many jobs. Telling them that you were actively involved in your community, church, and school PTO, school fundraisers is great experience you want to share with employers. It shows that you know how to organize events and get things done and that parallels project management. I bet you never thought of it that way. Maybe you’re interviewing for accounting jobs and you spent many years balancing the books for your church. It doesn’t matter if you volunteered and didn’t get paid. Experience is experience. The KEY is to tell them the kinds of things you are good at doing as it relate to the job. Focus your presentation on telling them everything that you have. Experiences that you have. Skills you have. Talk about things that you can do for them. Things that will help them in this position. Talk about stories of how you did something. But don’t give them a self-evaluation and tell them all the stuff that you’re not good at doing because that’s the surest way to not getting the job. On that topic, be careful of self-evaluation questions in the interview. If they ask you to rate your experience on something like Microsoft Office, don’t say I’m not very good at that because that’s probably a lie, instead, say something like, I know my way around pretty well and if there is something I don’t know, I can figure out quickly. And you can apply that answer reasoning to many types of experience questions. Always tell them what you have instead of what you don’t have. If you’re lacking in certain skills, don’t bring them up. Seriously, because you are your worst critic, so keep that part of you silent in the interview. Do this and you’ll have a much easier time reentering the workforce after 25 years.